The Dreyfusses introduce a new project on Governor Chris Christie, the Tea Party and the 2016 GOP civil war. 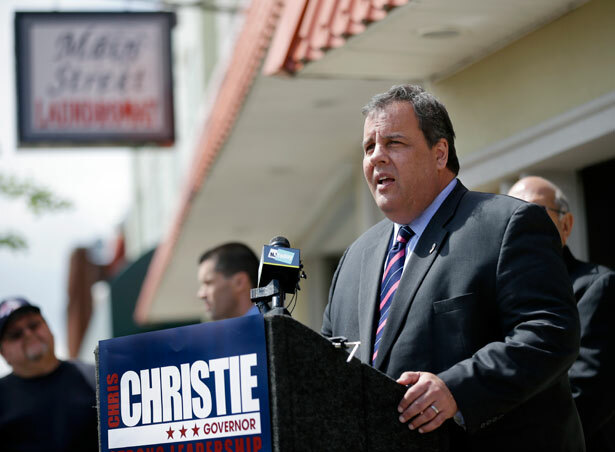 Today The Nation launches Christie Watch, devoted to New Jersey Governor Chris Christie, the controversy swirling around him, and his future political prospects as a presidential contender for 2016. As indicated by its subtitle—Governor Chris Christie, the Tea Party and the GOP’s 2016 Civil War—the Christie Watch project will go beyond just the beleaguered governor and his circle to cover what promises to be an epic struggle over who’ll be the eventual Republican standard-bearer three years from now. The Christie Watch project will appear near-daily as a blog and, in addition, it will show up in occasional columns and investigative features in the pages of The Nation magazine. It’s reported by a husband-and-wife team, both New Jersey residents, who’ll spend at least part of their time following Governor Christie’s national and local events and travels, legislative hearings, the various investigations of Bridgegate, Sandy relief funds and other potential scandals, and more. Barbara Dreyfuss, who’s written for a number of national magazines including Mother Jones, The American Prospect and The Washington Monthly, spent two decades on Wall Street as a healthcare policy analyst and is the author of an acclaimed investigative book on the hedge fund industry, Hedge Hogs: The Cowboy Traders Behind Wall Street’s Largest Hedge Fund Disaster. Bob Dreyfuss, a contributing editor at The Nation, has written investigative features and profiles for the magazine for nearly twenty years, and his foreign policy blog appears regularly at TheNation.com. Bob Dreyfuss was born in Paterson, New Jersey, the home of Lou Costello, and grew up in Sayreville, New Jersey, the home of Jon Bon Jovi. Even in the wake of the scandals that have rocked Christie since December, he’s still one of the most talked-about possibilities for a presidential bid in 2016. Like him or hate him, the governor is one of the most colorful, fascinating, can’t-look-away politicians in the United States, and he’s a formidable fundraiser for the GOP. (Despite the recent controversies, Christie has been largely responsible for the record-setting pace of cash raked in during January by the Republican Governors Association, which Christie chairs.) From his earliest days as a lawyer, lobbyist and politician in the 1990s, through his bombshell years as the US attorney in New Jersey in the 2000s, and into his governorship since 2010—when he went to war against teachers’ unions and public employees, slashed taxes and cut the budget, capped local county real estate taxes at 2 percent per annum and made devastating changes to pensions for state employees—Christie has earned a reputation as a tough-talking Jersey pol. He’s carefully cultivated a man-of-the-people persona, reinforced by scores upon scores of YouTube videos that have gone viral, most of them circulated by Christie’s staff, with a you-won’t-believe-what-he-just-said label, and all of the videos are filmed cinéma-vérité style, with a hand-held camera, by Christie aides eager to get them up on the Internet. Since November, though, Christie has been on a wild roller coaster ride worthy of the Wildwood boardwalk’s most thrilling. Re-elected overwhelmingly to a second term as governor in November, Christie found himself splashed across the covers of national magazines and the front pages of newspapers as far away as the West Coast, and he appeared everywhere on broadcast and cable TV, often winning admiring plaudits from pundits, Republican and Democratic alike. He won, they said, a resounding vote as a Republican in a deep blue state, garnering majority votes from traditionally Democratic constituencies: the young, women, and minorities. To establishment Republicans and Chamber of Commerce types, Christie would be—as Mitt Romney said—the “savior” of the party, allowing the GOP to reclaim the middle-of-the-road voter and independents while curbing the obstreperous Tea Party and the far right. Yet Christie’s fervent support for the GOP’s catechism—small government, tax cuts, less regulation and meat-ax budget cuts—would give Christie the power to appeal to both Tea Party ideologues and Main Street businessmen. Within weeks, however, his clear path to the Republican nomination in 2016 was strewn with boulders. The drip-drip-drip of the Bridgegate scandal, which forced the resignation of key aides posted to the New York and New Jersey Port Authority and the firing of other, top-level Christie appointees—including his deputy chief of staff—put the governor back on America’s front page, but this time without the adulation. And new charges emerged, including that Christie’s aides and the lieutenant governor has tied relief from 2012’s Superstorm Sandy to local officials’s support for Christie-backed projects. Democrats, who’d previously blanched at the idea of a powerful, centrist, man-of-the-people chief executive challenging them in 2016, now pounced with glee on Christie’s self-inflicted misfortune. His reelection victory in November 2013 was the result, they said, not of Christie’s shrewd coalition-building and mainstream, bipartisan appeal but in part because Christie had cajoled, blackmailed, arm-twisted and threatened local officials, mayors, and country executives into backing him—or else. Christie, the new narrative declared, was the essence of bullying, New Jersey-style politics. Inevitably, his visage morphed into Tony Soprano’s. Despite these dizzying ups and downs, the future course of which will be chronicled in Christie Watch, the governor is still—though many would say, just barely, and others would write him off—a potential candidate for 2016. Mainstream Republicans, led by the US Chamber of Commerce, are desperate to reduce the power of the Tea Party, and if Christie crashes and burns, the presidential options for 2016 are uncertain, to say the least. Unlike other governors—such as John Kasich of Ohio and Scott Walker of Wisconsin, both of whom launched scorched-earth wars against organized labor in their states—Christie has an inside track with the GOP’s big money folks: the Wall Street, hedge fund, and corporate donors who are itching to take the Tea Party down a peg. Jeb Bush, who many say is the beneficiary of Christie’s troubles, has huge downside problems of his own, starting with his last name. And the far-right candidates or would-be candidates, such as Senator Rand Paul of Kentucky, Senator Ted Cruz of Texas and evangelist Mike Huckabee, a former Arkansas governor, are sure-fire losers in a race against, say Hillary Clinton. We hope you’ll climb into the roller coaster and buckle up. Tomorrow: Does Christie have a path to the GOP nomination in 2016?